After a disappointing Indoor Heps, Princeton senior Cecilia Barowski has already carved her name into the league record book with her 800m win at the Stanford Invitational in a time of 2:02.62 — fourth fastest ever in the league and an Olympic Trials qualifier. The 800m at Outdoor Heps is Barowski’s to lose: she is the defending champion, her seed time is fourth in the NCAA and nearly five seconds better than her next closest Heps competitor, Yale senior Shannon McDonnell (2:07.09), who won a Barowski-less 800m a few months ago at Indoor Heps. Behind McDonnell, there are no fewer than seven women with seed times around 2:08, usually a time that scores at Heps. This one is tough to call, but the race for second and third will likely be between McDonnell, Princeton sophomore Ashley Forte (#3 seed, 2:07.81, and second indoors in the 800), and Columbia sophomore Sarah Hardie, two-time winner of the 1,000m indoors and has the #4 seed time of 2:07.83. Although Harvard’s Paige Kouba (#5 seed, 2:08.52) has top seeds in the steeplechase and the 1,500m, it’s almost impossible to run both events at Heps due to scheduling, so she may well run the 800. And if she does, she’s likely to be a contender for the podium. One solid prediction about the women’s 1,500m is that it will be fast… but the winner is anyone’s guess. Kouba has the fastest seed at 4:16.46 (#5 all-time for the conference) but she’ll likely focus on her specialty, the steeplechase. 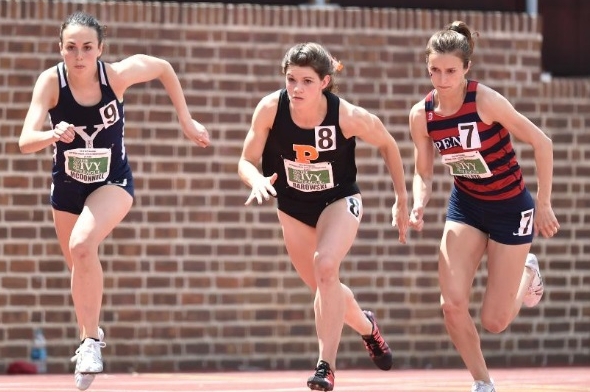 Yale sophomore Frances Schmiede and Penn junior Ashley Montgomery both broke their school records this season, running 4:17.17 (#8 all-time) and 4:20.28, respectively. 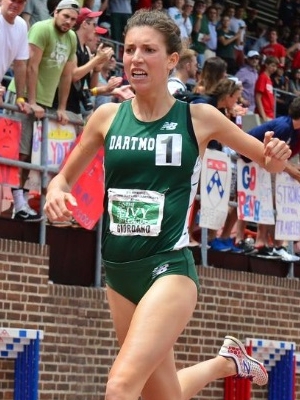 Last year’s winner in this event, Dartmouth senior Dana Giordano, always a fierce competitor, ran 4:20.53 at the Virginia Challenge late in the season. If one of them should falter, the next seven women on the conference list have run 4:22, a time that scored points at just about every Outdoor Heps in history. This entry was posted on Friday, May 6th, 2016 at 7:00 am. It is filed under Heps Champs, Spotlight, Team Previews, Women. You can follow any responses to this entry through the RSS 2.0 feed.